During the hot summer months in Georgia, it can easily get into the 90s or even 100 degrees. Laborers who work outside are especially busy in the summer months and are forced to be outdoors in the brutal heat for long hours day after day. As a result, they can suffer serious heat-related illnesses—which are sometimes fatal. According to the Occupational Health and Safety Administration (OHSA), 2,630 workers suffered heat-related illnesses and 18 workers died from these injuries in 2014. If you must work outside in the Atlanta area in the summer and need to take off work due to a heat-related injury, workers’ compensation benefits are there to help you replace your lost wages and pay the medical bills for your care. Which Workers Are at High Risk of Developing a Heat Injury on the Job? 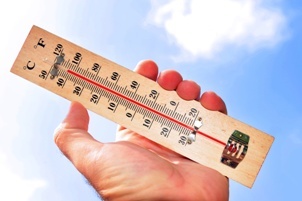 What Are Common Heat-Related Injuries Workers Could Suffer? Heat stroke is the most serious illness caused by exposure to excessive heat. The body becomes unable to control its temperature, which causes the body temperature to rise quickly—sometimes in as little as 10 to 15 minutes. In addition, the sweating mechanism that helps the body cool down quickly is not working, making the condition worse. If emergency treatment is not given, a person can suffer a permanent disability or die. Symptoms include confusion, blurred speech, loss of consciousness, seizures, and very high body temperature. This condition occurs when the body loses too much sweat and salt due to excessive sweating. Some of the signs of heat exhaustion are nausea, headache, dizziness, thirst, high body temperature, and heavy sweating. Workers should be taken to a cooler environment and given cool liquids to drink. In addition, they should be taken to the emergency room or clinic for medical treatment and should not be left alone until this is done. This disease is caused by the combination of excessive heat and physical exertion for long periods of time. It causes the rapid breakdown, rupture, and death of muscle. When the muscle dies, it releases electrolytes and large amounts of protein into the bloodstream that can cause irregular heartbeat, seizures, and kidney damage. Signs of this serious disorder include muscle cramps and pain, weakness, and dark-colored urine. Immediate medical care is essential if a worker develops any symptoms. When a person is dehydrated and working in high temperatures, he can develop heat syncope if he rises suddenly or stands for long periods of time. Heat syncope can cause dizziness or fainting. Drinking liquids and resting in a cooler environment usually is sufficient treatment. Heat cramps can result when a worker sweats a lot when engaging in physical exertion while working in the heat. The sweating depletes his body of salt and moisture, which can cause painful cramps in the legs, arms, or abdomen. Drinking fluids and eating a snack can help some workers. However, if the cramps do not stop within an hour or the worker has heart problems or low salt intake, he should seek medical treatment.